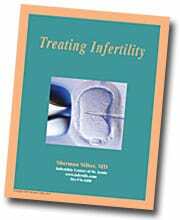 In-vitro fertilization (IVF) and intracytoplasmic sperm injection (ICSI) solve the quandary presented by our frequent ignorance of why couples are not getting pregnant. If the cause of infertility really is low sperm count, the sperm can be microinjected directly into the egg. If the cause of the problem is poor ovulation, the hormonal stimulation and aspiration of eggs from the ovaries removes the need for ovulation. If the issue is poor cervical mucus blocking the entrance of sperm into the womb, these new technologies can bypass that problem as well. If the problem is endometriosis (a highly questionable but very popular diagnosis), again IVF overcomes the unfavorable environment for fertilization that endometriosis supposedly creates in the woman’s pelvis. If the problem is poor pickup of the egg by the fallopian tube from the surface of the ovary (a tricky feat in which the fallopian tube has to “reach over” and grab the egg by twisting back on itself), IVF, as well as gamete intrafallopian transfer (GIFT), once again bypasses this event. Almost anything that can go wrong during the arduous process that sperm and eggs normally have to go through can be bypassed with IVF and ICSI. If the couple is committed to several treatment cycles, and the woman is not too far along on her biological clock, most will get pregnant no matter what the diagnosis and no matter how severe the problem. With IVF, your eggs are fertilized with your husband’s sperm in a petri dish or a test tube, and the embryos are replaced back into your uterus two to five days later.